Some twenty-five centuries after the Buddha started teaching, his message continues to inspire people across the globe, including those living in predominantly secular societies. What does it mean to adapt religious practices to secular contexts? Stephen Batchelor, an internationally known author and teacher, is committed to a secularized version of the Buddha’s teachings. The time has come, he feels, to articulate a coherent ethical, contemplative, and philosophical vision of Buddhism for our age. After Buddhism, the culmination of four decades of study and practice in the Tibetan, Zen, and Theravada traditions, is his attempt to set the record straight about who the Buddha was and what he was trying to teach. Combining critical readings of the earliest canonical texts with narrative accounts of five members of the Buddha’s inner circle, Batchelor depicts the Buddha as a pragmatic ethicist rather than a dogmatic metaphysician. He envisions Buddhism as a constantly evolving culture of awakening whose long survival is due to its capacity to reinvent itself and interact creatively with each society it encounters. This original and provocative book presents a new framework for understanding the remarkable spread of Buddhism in today’s globalized world. It also reminds us of what was so startling about the Buddha’s vision of human flourishing. From the Author: What are you trying to achieve in this book? After Buddhism is the culmination of forty years of thinking about and practicing the dharma as a modern Westerner. I pull together a number of threads that I have explored in earlier writings, such as Buddhism without Beliefs. In all of my writings I address the question of how the teachings of this ancient Asian religion might speak to the condition of our secular age. This new work is an attempt to recover what was truly original about the Buddha's vision and to acquire a better understanding of the man himself. Recent scholarship affords us both a clearer picture of the historical world in which Gotama lived and more critical insight into the earliest discourses. Together, these allow the possibility of rethinking the dharma from the ground up. Who have you written this book for? With the widespread adoption of mindfulness, more and more people find themselves practicing a form of meditation that is rooted in the Buddhist tradition. I hope this book might do for Buddhist ethics and philosophy what the mindfulness movement has done for Buddhist meditation: provide a framework of values and ideas that have been stripped of their religious and metaphysical associations to reveal a practical way of life that is available to all—which might help us deal with some of the urgent questions we face as a human community in the twenty-first century. 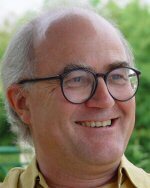 Stephen Batchelor is known worldwide for his work as author, teacher, and scholar of Buddhism. He has been a teacher at the Gaia House meditation center in Devon, England, for twenty-five years and is a contributing editor of Tricycle: The Buddhist Review. His previous books include Buddhism without Beliefs and Confession of a Buddhist Atheist. He lives in southwest France. Batchelor’s earlier works, perhaps most notably the bestselling and controversial Buddhism Without Beliefs (Riverhead/Tricycle, 1997), did much to lay the groundwork for the secular Buddhist movement that would later emerge. Today, Batchelor is cofounder of the newly established Bodhi Institute in the UK, which offers “early Buddhist teachings for a secular age.” In April, Batchelor sat down with Tricycle editor and publisher James Shaheen in New York City to discuss his new book. Why “After Buddhism”? As an impermanent and contingent phenomenon, Buddhism will inevitably be transformed through its interactions with modernity. Exactly what shape it will assume is impossible to know. All we can say with confidence is that what will come after Buddhism will remain tied to it as well. But will it still be Buddhism as we understand it now? I don’t know. Since a key part of my argument is a call to return to the earliest sources of Gotama’s teaching, I could just as well have called this book “Before Buddhism.” Several readers of the manuscript have in fact suggested this. The book’s title also acknowledges my debt to a number of similar works: After Virtue, by Alasdair MacIntyre, After God, by Don Cupitt, and After Christianity, by Gianni Vattimo. “After” does not imply that these authors have abandoned virtue, God, or Christianity any more than I have abandoned Buddhism. Rather, “after” signals a radical revisioning of what these terms mean today. After Buddhism continues an inquiry that I’ve been pursuing for many years. I try to divest the Buddhist teachings of the layers of doctrinal and cultural accretion that have built up over the last two and a half thousand years. Our culture is at such a distance from that of ancient India that we may no longer be in a position simply to adapt a particular orthodoxy by giving it a new spin for our times. The challenge may be more fundamental than that. We might need to strip Buddhism back to its bare skeletal form and begin again. How possible is it to do that when we are, as you say, so distanced from it in time? I realize that this is a difficult, even presumptuous undertaking. A very easy criticism of this book will sound something like this: “Well, this is just what Batchelor likes about Buddhism, and so he finds these pieces and then claims them to be original.” That would be a perfectly valid objection if I were simply highlighting my preferences. But I do actually have a hermeneutic strategy. Which is? When you read a text in the Pali canon or other comparable sources, if something said there by the Buddha could just as well have been said by a Jain or Brahmin priest, then you put that aside as simply part of the broadly accepted worldview of that period. It’s not something unique to the Buddha’s dharma. By pursuing this process of subtraction, you can start to separate out the generic cosmology and metaphysics of the time. What remains left over can then be considered as what made the Buddha’s teaching so distinctive. And that would be my starting point. What do you identify as distinctive? I identify four primary themes: the principle of conditionality; the practice of the fourfold tasks; the perspective of mindful awareness; and the power of self-reliance. I call them the four P’s. The book teases out of these four themes what hopefully is a comprehensive account both of the dharma and of the Buddha’s life. The language you use for fundamental Buddhist terms and concepts is often a radical departure from convention. The four noble truths become “the four tasks”; nirvana becomes “a nonreactive ethical space”; dukkha, typically translated as “suffering,” simply becomes “life.” And tanha—craving—becomes “reactivity.” In many cases, your translations are more interpretive than literal. As the cliché goes: translation is always interpretation. The meaning of words, as Wittgenstein pointed out, has to do with how they are used more than how the dictionary defines them. I may choose a term that might not be literally so close to the original but could actually shed more light on how that term operates within the framework of the discourses. Another example is the use of the word “truth” itself. I’m not suggesting the Buddha didn’t use the word. He did. But apart from in the expression “four noble truths,” the word “truth” in most cases refers to the virtue of speaking truthfully, being honest, having integrity in one’s life. We find this usage in the Ashokan edicts as well as in the Theravada doctrine of the perfections, one of which is sacca-parami: the perfection of truth. Here the word “truth” doesn’t refer to truth as a synonym for “reality,” it refers to truth as a virtue of speech. This supports my hypothesis that Buddhism did not start out as a truth-based metaphysics. In other words, to be awakened does not mean to understand the truth or nature of reality, which then frees you from ignorance, leaving you awakened. It may be more accurate to think of truth as truthfulness, or living a truthful life. It means to live in a certain way rather than to gain access to a privileged knowledge. So “four tasks,” as opposed to “four truths,” seem to me more appropriate. Truth is an act to be performed, not a fact to be known. Yet the Buddha does get polemical when he debunks competing schools. Wouldn’t you consider, say, the truth of impermanence to be, well, a truth statement? It’s very tempting to say the Buddha rejects all other views and that his view is the correct one. You could, on the basis of the Brahmajala Sutta, in which the Buddha argues against prevailing views of the time, arrive at that conclusion, but that would be contradicted, particularly in texts like the Atthakavagga. I don’t see why a dogmatic opinion, just because it is claimed to be Buddhist, has any particular advantage over any other such opinion. Consider the 14 questions in the Majjhima Nikaya that the Buddha refuses to answer: Is the world eternal or not? Is the soul identical with the body or not? Does the Tathagata [epithet for the Buddha] exist after death? And so on. These are all dogmatic propositions. And it’s not that there are only 14 such propositions; the ones he lists are simply examples of a particular style of thinking that one needs to avoid if one wants to practice the dharma. Otherwise, one could easily slip into the trap of thinking that the aim of the dharma is to arrive at a correct set of opinions about the nature of reality. Buddhism certainly has invested a lot of energy in doing that, but I think it actually runs against the spirit of his refusal to even get drawn into a discussion about such things. In another verse in the Atthakavagga, the Buddha says, “Wrongminded people voice opinions and truth-minded people voice opinions too.” But when an opinion is uttered, he concludes, “The sage is not drawn in.” Now that’s found in a text the antiquity of which is accepted by Buddhist and modern scholars alike. But it flies in the face of a great deal of what has come to be accepted Buddhist orthodoxy. We can think of this in terms of the American Pragmatic tradition, which also rejects the traditional notion of truth as “correspondence.” From William James on, pragmatists have understood truth not in terms of statements that correspond to the nature of reality but in terms of whether or not they lead to greater benefit in the quality of life. For example, “conditioned things are impermanent.” That’s a working hypothesis. Does it actually improve and enhance the quality of my life to train myself to see things that way as opposed to looking for something permanent? Does it loosen me up? Does it free me from restrictive attachments and fears that block the creative flourishing of life? Does it enable me to become a more ethical, compassionate, and wise person? You write that at some point Buddhist schools seemed to have veered away from the original teachings. Can you say something about that? I personally believe that is the case. Like any living tradition, Buddhism has to survive in a particular milieu. And Buddhism had to survive in the milieu of competing religious truth claims coming from the Brahmins, Jains, and others, and it adjusted itself accordingly. It may have seemed at the time to be an entirely natural and necessary development. And it could well have been that figures or ideas in the early community were already inclining that way anyway. Yet you identify in the early Chan tradition a very different impulse. What the Chan (Zen/Son) tradition did was to reject the complex metaphysics that had built up over the centuries in Buddhist thought. It returned to the primacy of responding to the core questions of life itself. So when you read Linji [Japanese, Rinzai, d. 867], for example, you find him saying things that are far more provocative and outrageous than anything in my mild mannered prose. In the course of writing this book, I became aware of the great extent to which I am indebted to the Chan approach—and particularly the Son form that I learned in Korea. It’s far more about a provocation to question deeply what this life is about and to notice the ways in which we keep ourselves stuck in certain views and opinions. Orthodox Buddhism is treated very harshly in some of these texts. Yet when we read these statements today, because they’re Chan records, we treat them with an awed reverence, which we wouldn’t accord similar statements not endorsed by centuries of tradition. But you have to note their incredibly radical nature. You’ll find this also in the writings of the mahasiddhas, the founders of the Vajrayana tradition. Tilopa, for example, uses exactly the same sort of shock tactics as the Chan masters. Buddhist tradition has undergone many periods of ossification. It then reaches a point where the tension is just too great to sustain any longer and it snaps. These moments go on to produce figures such as Linji and Tilopa. I suspect we may be at a comparable phase in the emergence of Buddhism for our time, where some sort of rupture seems to be in the offing. Early in the book you mention that you are running the risk of arrogance . . . That’s right. I fully understand this risk. I sometimes wake up in the middle of the night feeling very anxious about what I’m doing. You do focus on ordinary, sometimes marginal, figures from the canon in your book.Yes. By focusing on nonordained “laypeople” in the early discourses, I’m trying to shift the emphasis away from the detached, celibate arahant, who has become the ideal of perfection that every good Buddhist should emulate. There is evidence in these early texts to show that it wasn’t just the monks who were getting enlightened. It wasn’t just the monks who were doing the teaching. It wasn’t just the monks who were doing the practice. Why is the historicity of the Buddha’s story important to you? Why does there need to be a factual basis to your reading, and why do you emphasize it? I would find it very difficult to relate to this tradition if I believed that the story of Gotama was just a devout fiction concocted long after the Buddha’s death. Of course, you could argue that if the dharma is a practice to transform and improve the quality of your life and lead you to awakening, then what does it matter if the Buddha really existed or not? Yet as a practitioner, I find that these texts, for me, serve as a partner in an ongoing conversation. I don’t consider them coldly and objectively but rather value them in terms of how they speak to my condition today. I find that the voice I listen to has more authority if it comes from a figure who walked on this earth rather than simply being a voice that’s put in the mouth of someone who could just as well be a character in a novel. You write that you require of the Buddha that he be more than a mere cypher—he’s a person who must navigate his world much like anyone else. Yet you also require that he be more than merely human. What do you mean? If you reduce the Buddha to a person who’s basically not much different from you or me, then he ceases to function as a figure who embodies our aspirations. The power of the Buddha’s teaching is that he has overcome a great deal of what causes us, as fallible humans, to feel limited, constrained, unfulfilled, and stuck. The whole metaphor of freedom— liberation—implies that the voice we hear in these texts is one that’s coming from a place that is no longer locked into the inertia of habit. On the other hand, if you make the Buddha too perfect, you lose his humanity. I think this is what has happened in most Buddhist traditions. The Buddha has become impossibly perfect and remote. He no longer functions as a model on which one might realistically base one’s own aspirations in life. I think it’s fair to say you’re a central figure—if not the central figure—in the Secular Buddhism movement. Can you define Secular Buddhism? Well, I think it’s a Buddhism that is primarily concerned with two things: the personal and collective suffering of this world or this age (saeculum), and the means to respond fully to such suffering. That doesn’t mean that it is only concerned with our selfish interests here and now. That would be a misreading. Because, frankly, the only thing about which we have certainty is that life—human and all other forms—has emerged on this little planet. This might be the only shot beings will ever have, and considering climate change and other challenges, we’re becoming increasingly aware of the fragile and tentative nature of such life. Secular Buddhists maintain that this should be the sole focus of our wisdom and compassion. They are agnostic about supernatural truth claims. The challenge is to find ways to respond to the suffering of this world, both now and in terms of how we leave it for those who follow us after our death. That, to me, is an entirely adequate frame for a complete commitment to a way of life founded on the dharma and dedicated to all living beings. In a nutshell, this is how I would see the ethos of Secular Buddhism. This book seems to be a culmination of 40 years of writing about the dharma. Do you see your writing as a practice? I see my writing as a running commentary to my ongoing inquiry into what the dharma is about. And not only what it’s about in an abstract sense, but what it’s about for people living in today’s world. In that sense I find writing to be a practice, and the books are the product of that practice. It’s only in retrospect, having completed this book, that I can see how it joins together threads that I’ve been following for a long time. With the completion of each book, I have come to trust that it will lead me to whatever project follows next. But I have no grand plan that aspires to some final outcome. What I have found to be different with After Buddhism is that when I finally got to the end I realized that I couldn’t encompass it all in my mind. It was as though I’d written something that exceeded my capacity to grasp what it was about. That feeling still persists; it is a very strange sensation. This is from a posting on the Secular Buddhist website. If this is of interest, I recommend you go to the site, since there is a very active section of comments, quite an engaged discussion -- too long to post here and no doubt will attract more thoughts. All of the discussion on this website can be said to revolve around a single question: What is Secular Buddhism? How is it secular, and how is it Buddhist? What can we take from the traditional texts and practices, and what ought we leave behind? How does the dharma fit in with our knowledge from other realms, such as science, political culture, and the various wisdom traditions? By and large, beyond our general Guiding Principles, the SBA has resisted promoting a set of settled answers to these questions. We have not been interested in creating a new set of doctrines, with their potential to ossify, first into dogmas and then into institutions and hierarchies. Taking Gotama’s teachings about anatta and his warnings about the thicket of views at face value, we have preferred to allow an open conversation to continue, watching to see what may arise organically from this process. One of the voices in that conversation is Stephen Batchelor. In his new book, After Buddhism, he shares his most recent thinking about the nature of secular dharma practice in what he calls “Ten Theses of Secular Dharma.” I found them very interesting and provocative, and I thought it might be useful to share them here as a way of spurring consideration and discussion. How do these theses sit with you? Do you think they’re useful? What do you agree or disagree with? Is this what Secular Buddhism is? How do these theses jibe with the SBA Guiding Principles? I look forward to participating in this discussion! 1. A secular Buddhist is one who is committed to the practice of the dharma for the sake of this world alone. 2. The practice of the dharma consists of four tasks: to embrace suffering, to let go of reactivity, to behold the ceasing of reactivity, and to cultivate an integrated way of life. 3. All human beings, irrespective of gender, race, sexual orientation, disability, nationality, and religion, can practice these four tasks. Each person, in each moment, has the potential to be more awake, responsive, and free. 4. The practice of the dharma is as much concerned with how one speaks, acts, and works in the public realm as with how one performs spiritual exercises in private. 5. The dharma serves the needs of people at specific times and places. Each form the dharma assumes is a transient human creation, contingent upon the historical, cultural, social, and economic conditions that generated it. 6. The practitioner honors the dharma teaching that have been passed down through different traditions while seeking to enact them creatively in ways appropriate to the world as it is now. 7. The community of practitioners is formed of autonomous persons who mutually support each other in the cultivation of their paths. In this network of like-minded individuals, members respect the equality of all members while honoring the specific knowledge and expertise each person brings. 8. A practitioner is committed to an ethics of care, founded on empathy, compassion, and love for all creatures who have evolved on this earth. 9. Practitioners seek to understand and diminish the structural violence of societies and institutions as well as the roots of violence that are present in themselves. 10. A practitioner of the dharma aspires to nurture a culture of awakening that finds its inspiration in Buddhist and non-Buddhist, religious and secular sources alike. Once an ordained monk, the author’s latest work focuses on bringing Buddhist teachings into the 21st century. At the time, Batchelor was still a practicing saffron-robed and crimson-scarfed Buddhist monk. He had departed from England in the early 70s with Siddhartha, Alan Watts, and Soft Machine in his head and a mop of long hair on top. The young man went east and ended up in Dharamsala, the northern-Indian home of the Dalai Lama in exile. Batchelor was thus one of the first among the waves of young Westerners who embarked on a quest for a higher consciousness and went native in the process. As Batchelor’s standing within the hierarchy of orthodox Tibetan Buddhism rose, his doubt about two of its central tenets—karma and reincarnation—deepened. Batchelor’s first giant step away from Buddhism-as-organized-religion brought him to the Korean Zen monastery, Songgwangsa, where his teacher, Kusan Sunim, instructed him to meditate on the aforementioned koan. During his years in Korea, he became increasingly close to a Zen nun, another spiritual pilgrim from the West, who had taken the name Songil and was also in a state of doubt. In 1985, they renounced their vows, married, and moved back to Europe, where they were confronted with a different kind of question, one they hadn’t had to consider for many years: How were they going to make a living? Stephen and Martine Batchelor both found an answer in writing and teaching. Batchelor’s break with Buddhist orthodoxy led to his first book, The Faith to Doubt, published in 1990. Since then, in a series of wonderfully lucid volumes that strike a welcome balance between personal memoir, philosophical and historical inquiry, and practical instruction—including two best-sellers, Buddhism Without Beliefs and Living with the Devil—Batchelor has written his way to a radical rethinking of Buddhism itself. He considers his newest book, After Buddhism: Rethinking the Dharma for a Secular Age, recently published by Yale University Press, to be a kind of crowning achievement. Batchelor’s luminous writings and teachings, taken altogether, do not amount to Buddhism for Dummies. Nor do they reduce Buddhist practice to the level of a pseudo-science, a corporate-friendly self-awareness technique, or an antidote to your iPhone fixation. Batchelor removes Buddhism from the realm of dogmas and spiritual hierarchies and gives it to us as a living practice, a response to the here and now. Despite the fact that he is a regular on the Buddhist “circuit,” giving talks at meditation centers, alternative bookstores, and in sanghas throughout the world, Batchelor is regarded with suspicion by many in the Buddhist community. There are those who see him as a secularizer whose scholarship is more selective than thorough and whose thinking is so shot through with Western influences (he is an admirer of Michel de Montaigne, Martin Heidegger, and the American pragmatist philosopher Richard Rorty) that finally he doesn’t seem like much of a Buddhist at all.